The Utah and Rocky Mountain Railroad is a virtual railroad that is based in Salt Lake City. This fictional line runs north from Utah, across Idaho and ends at Spokane, Washington where the U&RM has a terminus with connections to the Seattle, Portland, and Spokane Railroad and the Great Northern providing connections to the Pacific Northwest, and California. The line also runs southeast across Utah into Colorado, terminating at Grand Junction. The railroad�s eastern terminus at Grand Junction connects with the Rio Grande, which provides a connection in Denver and points east. The virtual Utah and Rocky Mountain traces its origin to a HO gauge model railroad layout that I built when I was a child. 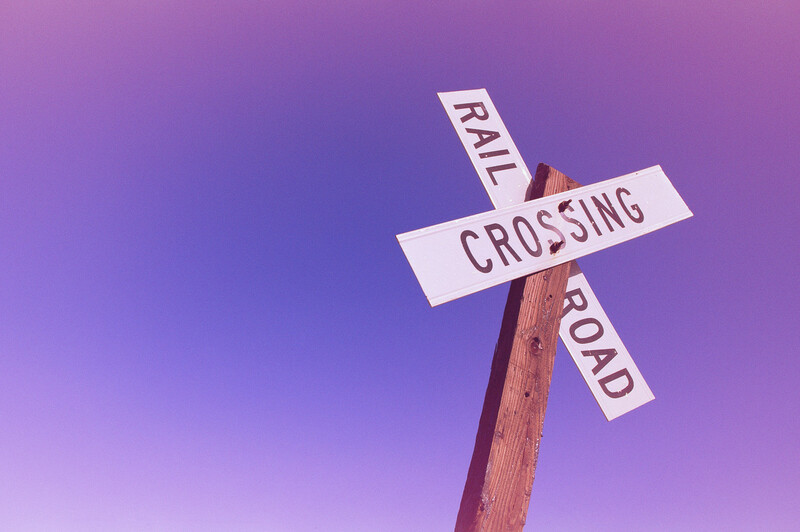 Like the virtual railroad, this railroad ran through Grand Junction, and it was located in Utah in the mountains. In this article we will explore some of Utah�s history, and take a look at their industries that will create revenue for our virtual railroad. We will then choose which industries we will model on our layout that are also appropriate for the era of the late 1940�s. Before we begin, our research should include a brief history of the area. Settlers started to enter the Utah territory in the mid 1800�s, with statehood in 1896. Here is a brief history. In 1847 the first pioneers entered the territory that we now know as the state of Utah. These original settlers formed the north-south line of settlements along the Wasatch Front and Wasatch Plateau to the south, and from Cache Valley on the Idaho border to Utah's Dixie on the Arizona border. A steady flow of Mormon settlers flowed into the state, and in January 1896, Utah had grown enough in population that it became a state. Today, Utah�s industries include aero-space, agriculture history, computer, communication, defense, mining, coal, copper, petroleum, salt, uranium, steel, and sugar. Let�s take a look at some of the key industries, since they will play an important part in our virtual railroad�s ability to earn income and remain in operation. For our purposes, the Utah and Rocky Mountain layout will focus on two key industries for its existence. They are agriculture and coal mining. The railroad also earns income as a bridge road, transferring freight from the Rio Grande in the east to the Great Northern in the north west. It also facilitated interchanges with the Union Pacific in Salt Lake City. If you have ever been to Utah, you will quickly come to the conclusion that agriculture is simply not possible in most areas in this state. It is a very arid land with not much water available, and good land for crops practically non-existent. Utah�s history has also been one dominated by an urban economy, not agricultural. Early on in its history mountain streams along the Wasatch mountains and high country plateaus were diverted for the purposes of irrigation. This caused Utah to develop in a north-south orientation rather than the east-west orientation that the nation as a whole was following in its expansion. The farming community became a characteristic of the Utah landscape, and by 1900 there were more than 400 farm-related towns established. Most of these towns were laid out in a grid pattern with small farms adjacent in the outlying areas. The church leaders frowned on land speculation and property ownership was often controlled by community objectives rather than person gain. This caused land values to remain low, and debt rare. Self-sustaining agriculture was dominated with a biblical concept of stewardship, which deterred over expansion and exploitation of the land and communities. Irrigation was considered a community possession since all of the farms relied on it for their very existence and ability to grow crops. The economic landscape did eventually change, and by 1890 20% of the farms were mortgaged, and by 1920 almost 50% of Utahs farms were operated under heavy debts. This change could also be seen in the rapid change in focus towards an aggressive quest for cash crops. Favorite crops of this type included sugar beets, sugar, Dairy, orchards, and a modest meat packing industry. Coal mining is a very interesting industry in Utah. It�s history has been dominated by outside economic pressures. This has resulted in a distinctive ethnic mix in the central southeastern area of Utah. This area was first controlled by major monopolies of railroads. After World War I, international energy companies have slowly replaced the strong grip of the railroads. Coal usage in Utah was the result of the LDS Church reserving local timber for buildings and not fuel. This created a demand for coal, which was further exploited by the 1854 territorial legislature offering cash prizes for the discovery of usable coal deposits within 40 miles of Salt Lake City. 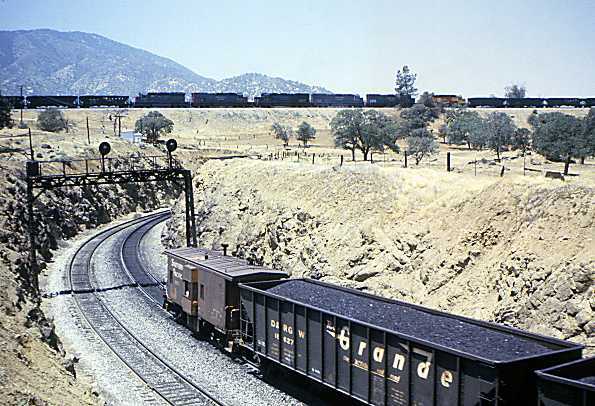 The Union Pacific Railroad monopolized Utah�s coal supply since its only competition was from the wagon mines where farmers would load up their wagons with enough coal for their personal needs at an exposed vein. When the Rio Grande was being constructed the Utah community cheered them on because they saw an opportunity to break the strong monopoly held by the Union Pacific. The Rio Grande followed the foot of Book Cliffs where Utah�s richest coal deposit was soon discovered. It completed its Book Cliffs coal and transportation combination with the acquisition of Sunnyside--the only Utah deposit of quality coking coal (a derivative used in smelting) in 1899. In our next article we will start exploring the train operations that will take place on the Utah and Rocky Mountain. This discussion will provide us with an idea where the major stations, terminals, and yards will be located on our layout.